Tesla is on a mission to increase its retail presence this year with one new location every 4 days. The automaker is also focusing on the northeast, a region that CEO Elon Musk described as “under-penetrated” in the past. 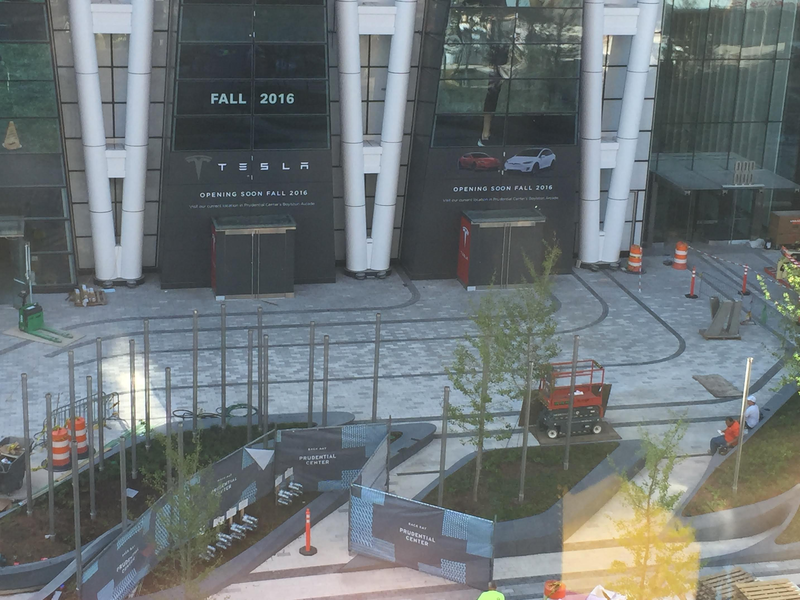 Now Electrek has learned of a new flagship store for Tesla in Boston’s new Prudential Tower. Tesla already has a small gallery in the Prudential Center, but on the Boylston Arcade side of the complex. Now Tesla is moving to what appears to be a much bigger location on the Back Bay side right at the entrance of the Prudential Tower. As we discussed when Tesla opened its new location in San Francisco earlier this week, the company has been working to improve the quality of its locations. In Mexico, Tesla recently opened a store in the sumptuous Palacio de Hierro Polanco. In Taiwan, the automaker is opening a location in Taipei’s upscale Shin Kong Mitsukoshi Department Store. Tesla is also expanding in South Korea where it is reportedly in negotiation to open a store in the country’s upcoming largest shopping mall. It looks like the store will be located right at the front door of the Prudential Center, which is powered by solar panels and wind turbines on the top of the tower. Tesla plans to have over 300 stores by the end of the year, up from about 260 at the moment, and the number should go up to 450 by the time the Model 3 hits the market in 2017. The new store in Boston will be ready in the fall.